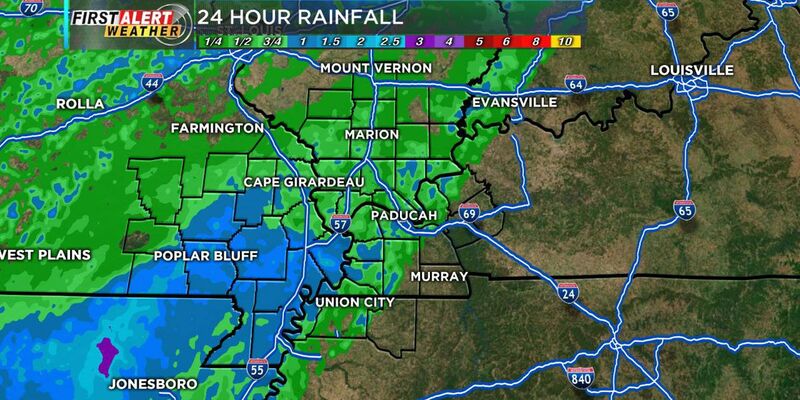 (KFVS) - Lots of rain in the Heartland. Tonight will be cloudy with a steady rain. Overnight lows in the 30s. Light winds. Clouds and rain on Monday. Rain may be heavy at times. 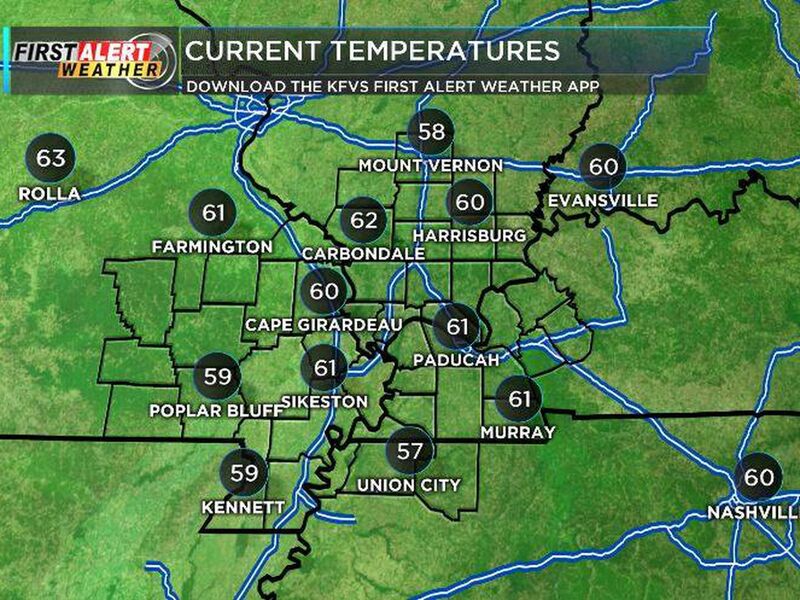 Highs in the low 40s to low 50s. Winds E 5-10. On Monday night, rain continues with lows in the 40s. Tuesday will be blustery and chilly with a chance of morning showers. Morning highs near 50 then falling temps. Flood Watches remain in effect for the entire region through Tuesday morning. Chief Meteorologist Grant Dade says some areas could experience heavy rain, but the threat of severe weather is very low.